Wrapping up and end of webcast. 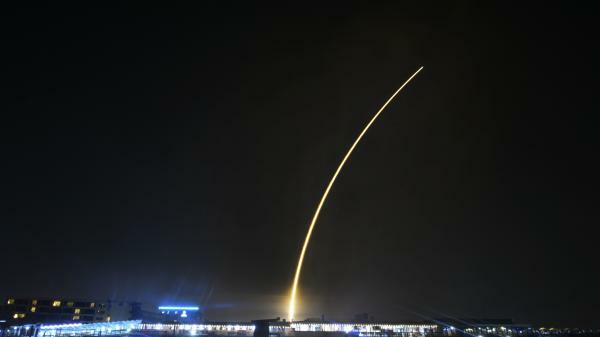 Beresheet Launched successfully! We received the first sign of life & data from #Beresheet & the #spacecraft deployed its landing legs as expected. 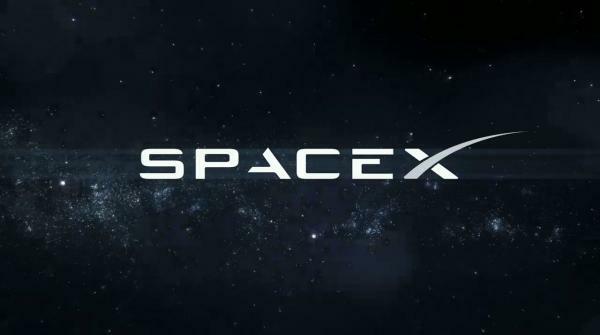 I expect we'll see some truly remarkable photos from tonight's launch. Trajectory went through the end of the cup of the Big Dipper. 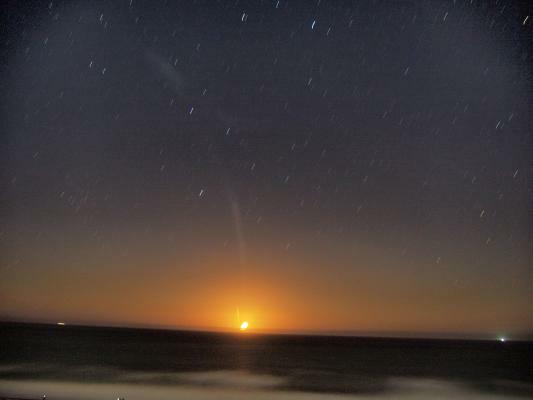 The booster burn was directly next to the rising moon over the Atlantic. Absolutely stunning launch! Unfortunately my building elevator failed tonight at the last minute so I couldn't make it to the beach in time to setup and had to rush to my balcony. Got some shaky time lapse of both launch and landing and they were amazing enough that I'm sure that anyone that was prepared tonight got some truly remarkable shots. Here's my two crappy ones (visible shake due to hand-holding the shutter release -stupid remote had come loose in my frantic haste). 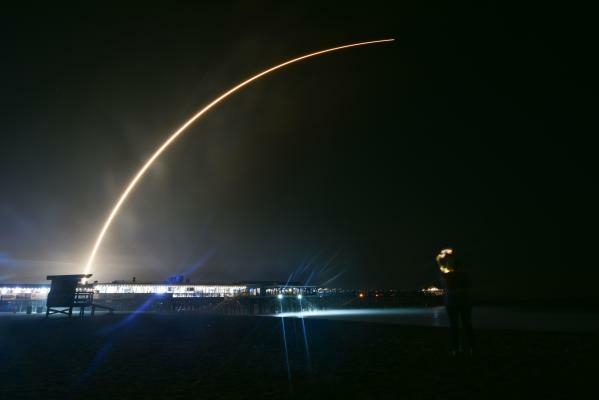 Gorgeous #Falcon9 launch photo here by colleague @MalcolmDenemark. Gotta appreciate his one-shot wonders – no compositing, heavy alterations, etc. The following is a statement from NASA Administrator Jim Bridenstine on Thursday’s launch of Israel’s first mission beyond Earth’s orbit. 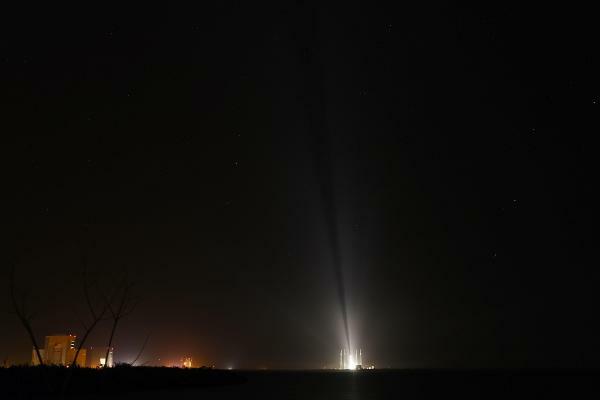 SpaceIL’s lander blasted off from Cape Canaveral Air Force Station in Florida, and now is on its way to becoming the first commercial lander to reach the Moon’s surface. “Congratulations to SpaceIL and the Israel Space Agency. This is a historic step for all nations and commercial space as we look to extend our collaborations beyond low-Earth orbit and on to the Moon. Recovery teams are still at the LZ working on securing the booster. They may be here a while as crews wait for a break in the waves that allows them to board the droneship. 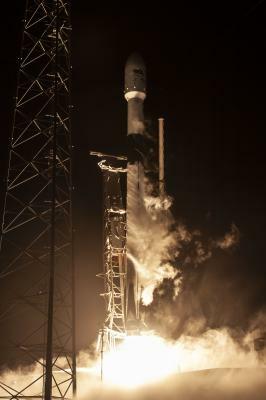 PALO ALTO, Calif. – February 22, 2019 – SSL, a Maxar Technologies company (NYSE: MAXR) (TSX: MAXR), and a leading provider of innovative satellites and spacecraft systems, announced today the Nusantara Satu communications satellite, built for Indonesian satellite operator PT Pasifik Satelit Nusantara (PSN), is successfully performing post-launch maneuvers according to plan. 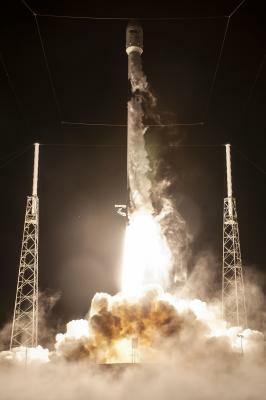 It launched last night aboard a Falcon 9 rocket from the SpaceX launch base in Cape Canaveral, Fla., and deployed its solar arrays on schedule. 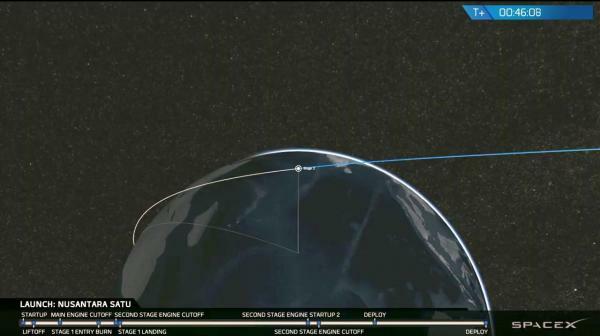 Tomorrow its main thruster will begin to propel the satellite toward its final orbit at 146 degrees East longitude. Nusantara Satu is a multi-mission satellite that includes Indonesia’s first High Throughput Satellite (HTS) payload. Previously called PSN VI, the satellite will also provide voice, data and video distribution service throughout South East Asia. PSN is the first private satellite telecommunications company in Indonesia and a leading Asian provider of a full range of satellite-based telecommunication services. Nusantara Satu is also one of the first satellites to use SSL’s next-generation electric propulsion system, which provides increased power, flexibility and performance, backed by a long heritage of electric propulsion success. An integral part of Indonesia’s infrastructure, Nusantara Satu furnishes the most remote islands and villages with reliable, broad-based and affordable broadband to fuel economic growth and opportunity in the region. In addition the satellite’s C-band and Ku-band transponders will be used for voice and data communications and video distribution throughout the Indonesian archipelago. 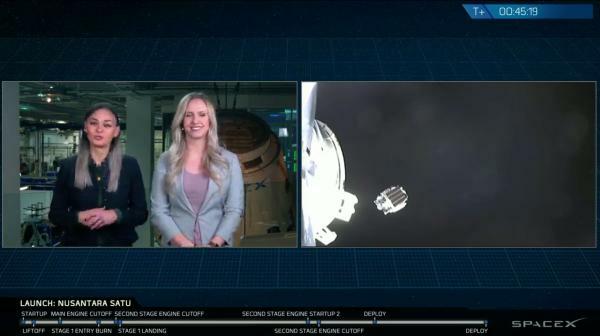 In addition to the satellite for PSN, SSL collaborated with rideshare provider Spaceflight to aggregate additional payloads that will accompany Nusantara Satu to orbit. This includes an experimental small spacecraft for the Air Force Research Laboratory that will deploy near GEO, and a spacecraft for SpaceIL that is the world’s first privately funded lunar lander. Fiery Falcon Fury! 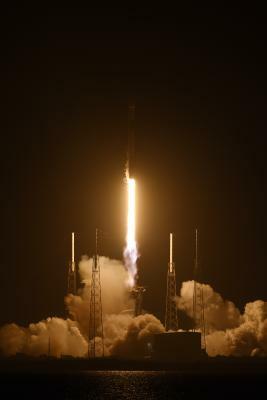 SpaceX successfully launched the #Beresheet moon lander and #NusantaraSatu / S5 satellites at 8:45 P.M. yesterday evening. 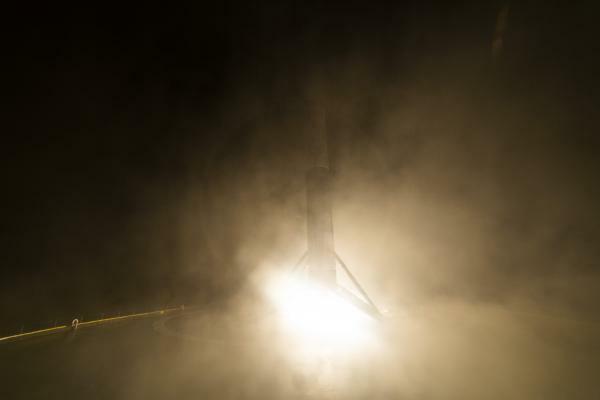 Here’s a dramatic view from SLC-40 as Falcon 9 climbed toward space. Laser beam! SpaceX’s Falcon 9 rocket launches the #Beresheet moon lander and #NusuntaraSatu / S5 satellites, as seen in this 30-second exposure taken from SLC-40. 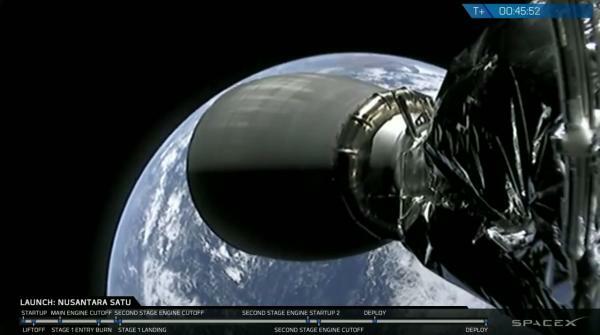 Here's another frame from the Falcon 9 / #NusantaraSatu mission. I love how the plume perfectly encapsulates the flame, and how the engines are just barely in the frame at the top. Definitely a pleasant surprise hidden later in the sequence. 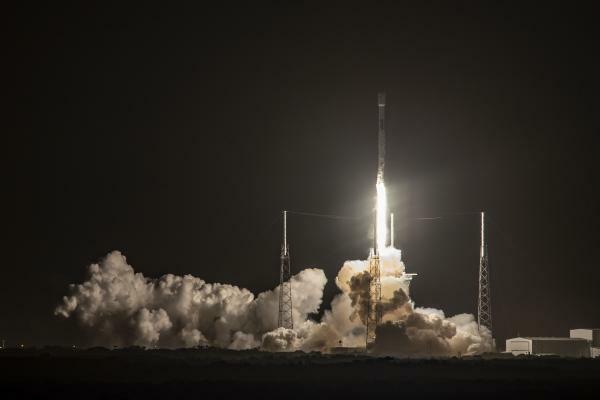 CAPE CANAVERAL, Fla., Feb. 22 – Israeli nonprofit SpaceIL and Israel Aerospace Industries (IAI) today announced that Israel’s inaugural voyage to the moon – the world’s first privately funded lunar mission – launched successfully on Thursday, Feb. 21, at 8:45 pm. 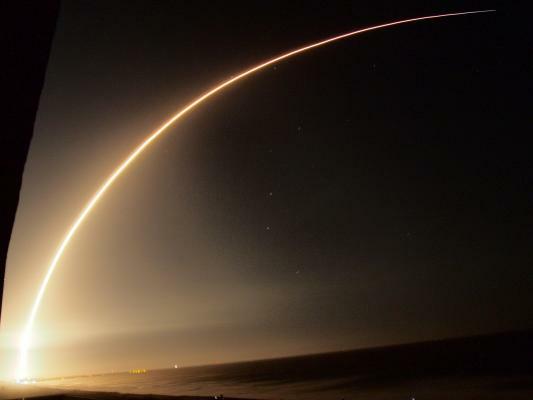 ET from Cape Canaveral Air Force Station aboard a SpaceX Falcon 9. Once Beresheet ("in the beginning") completes its lunar mission, Israel would join superpowers China, Russia and the United States in landing a spacecraft on the moon. 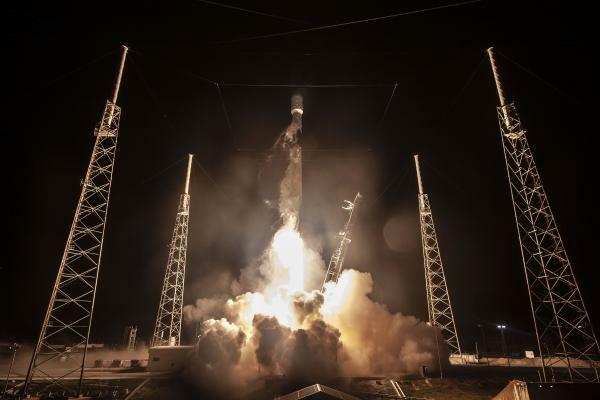 The spacecraft successfully disengaged from the SpaceX Falcon 9 at around 60,000 kilometers above Earth’s surface, beginning, under its own power, a two-month voyage to the Moon’s surface. 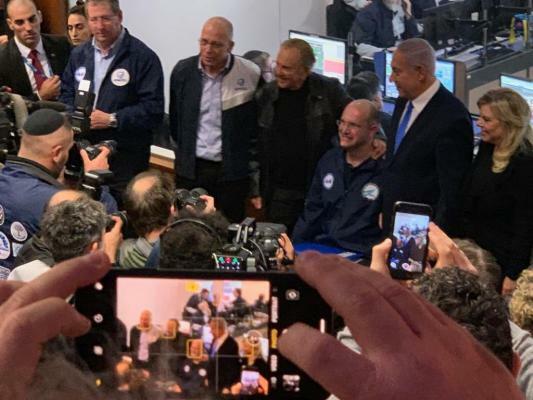 Beresheet communicated for the first time with the mission’s control center in Yehud, Israel, at 9:23 p.m. ET, and the spacecraft's legs deployed two minutes later. As of Friday morning, the spacecraft was 69,400 km above Earth, and is starting its way back to begin its first orbit around Earth. In the meantime, the engineers at the SpaceIL and IAI control room have been conducting many in-orbit tests, and have identified high sensitivity to blinding by the sun’s rays in the star trackers, though this issue is being checked. On Sunday the spacecraft is expected to conduct its first maneuver around Earth. Nimrod Sheffer, CEO, Israel Aerospace Industries: "This Friday morning (Israel time), SpaceIL and IAI, the partners in the Beresheet project, announced the successful launch of the spacecraft. 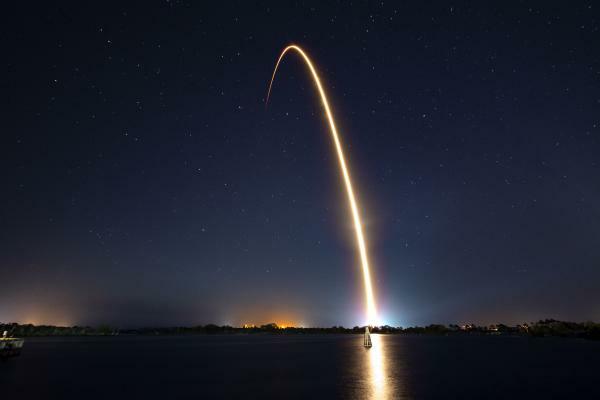 Initial data was received in the control room in Yehud, the spacecraft’s legs deployed as planned and Beresheet started in-orbit tests while cruising to the moon. After all sub-systems are tested, Beresheet will start its first maneuver and begin circling the Earth within nine hours." I do believe the #SpaceXFleet is heading home to Port Canaveral. As of 10:50 am EST there is forward movement of 5.6 kn from both Signet Warhorse III a d GO Quest. Definately coming back to port. It appears, per @SpaceXFleet, that Mr. Steven was damaged at sea - would explain the aborted attempt at fairing recovery. BREAKING: Mr Steven returned to Port Canaveral at 4am this morning local time with only 2 arms installed. The ship looks to have suffered damage at sea. Cranes are attending to the ship in port now. The abort is now clear. Of Course I Still Love You and B1048.3 are halfway home, should be back in port tomorrow morning. 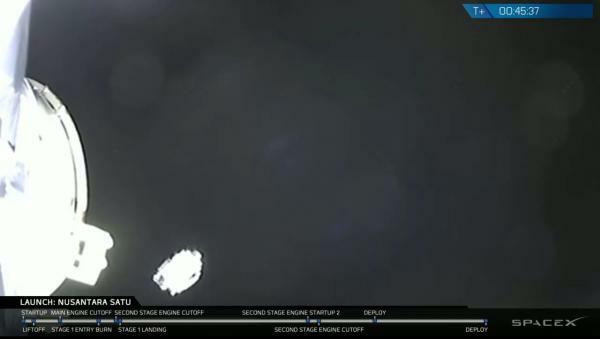 SpaceIL Beresheet update: The optional first apogee burn was not required, SpaceX's Falcon 9 gave the lander a "perfect" trajectory. Apogee Maneuver 2 is scheduled for Sunday at 11:29 UTC.